over forty thousand (45,000) executives and has consulted for most of the quoted companies in the country. He has over 36 years working experience, a significant part of which was in the banking industry. He was until April 1997, Chief Executive Officer of Pacific Merchant Bank with ultimate responsibility for effective asset/ liability management and sustained profitability of the Bank. Prior to his position as the Chief Executive of Pacific Merchant Bank, he had worked with Chase Merchant Bank, Lagos (an affiliate of Chase Manhattan Bank New York) and attended the Chase Manhattan Bank Credit Training Programme in Lagos. The training exposed him to many diverse aspects of credit analysis and management. He was responsible for establishing the Agricultural lending Department in Chase Merchant Bank. He was at various times the head of the Corporate Banking Division and Capital Markets Division of Continental Merchant Bank (formerly Chase Merchant Bank). In his capacity as Divisional Head, Seyi was involved in structuring several credit transactions, providing financial advisory services and managing very intricate loan work out transactions resulting in collection of significant amount of non- performing loans. Seyi attended several management training programs including the International Executive Program at IMD, Switzerland and the Executive Internship Programme in International Banking at American Express Bank Limited, New York. 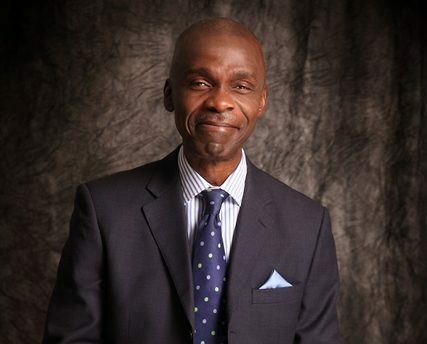 He is a member of NITAD(Nigerian Institute of Training and Development), Centre for Management Development (CMD), the Chairman of the Board of Directors of Bluebird Communications Ltd, a Marketing Communication company, former member of the Board of Management of St Saviours School, Ikoyi, Board member of Crown Proserve Global company, an Accounting firm, member of the Board of Management of Retirement Investment Scheme of Finance and Commercial Services, amongst others and he is the author of the highly acclaimed leadership development books; Choose to Make a Difference, Unleash! Your Amazing potential and Reflections on Unleashing Potential.